That's life. And Analog Instant Photography. Our favorite visual choice for capturing magic moments. With our unique giant cameras we almost go larger than life! 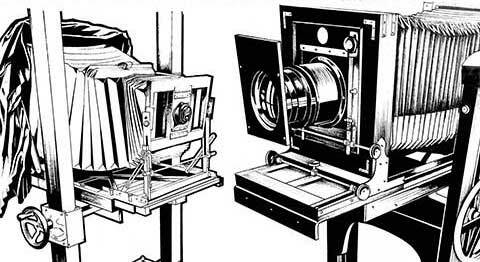 SUPERSENSE proudly owns and operates 2 wonderful, vintage large format instant cameras of no other kind. 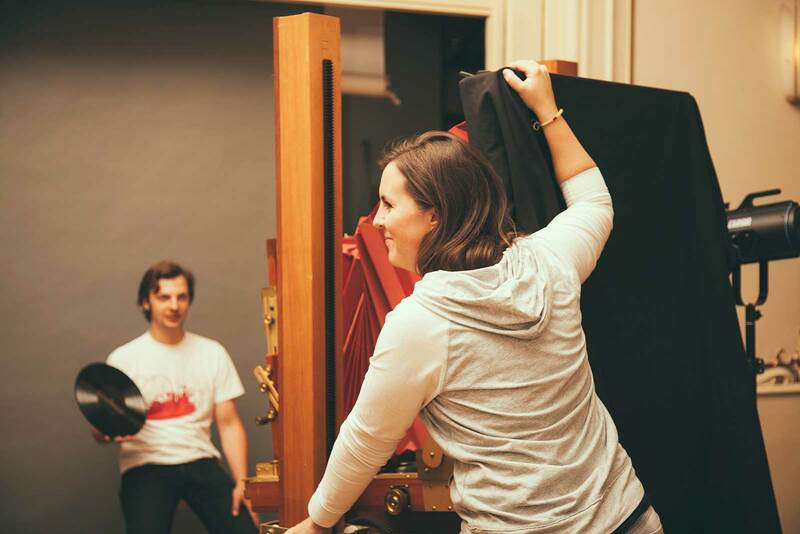 We rescued this breathtaking, old Viennese portrait camera from a traditional small portrait studio in the 15th district that ran out of business in 2014. The camera was built in the middle of the last century by Camera Industrie "Austria". Featuring a heavy, old-school Petzval-style glass lens, it takes wonderful 8x10 instant portraits and photographs of no other kind. It can't get any bigger! The 20x24 format is the biggest Polaroid of all times. SUPERSENSE is proud to own a unique version of these super rare camera giants and to be the world`s only public space where you can experience this magic instant dinosaur. See it for yourself – it's hard to find anything more exciting than exposing photographs with this camera and holding a giant Polaroid in your hands a few minutes later. Based on a model built by Wisner, the SUPERSENSE 20x24 camera has been carefully optimized in many aspects. 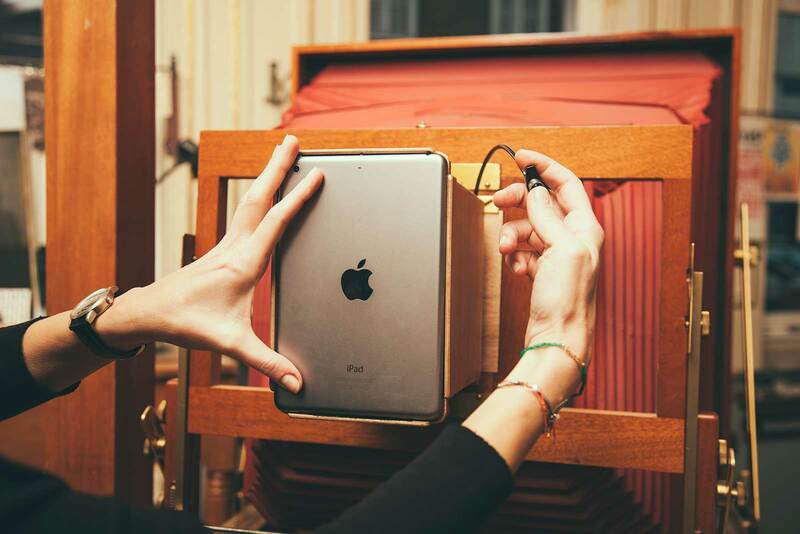 With its solid, handcrafted stand it offers portrait and landscape options. The fact that the developing unit is NOT attached to the camera makes it flexible enough for all kind of large format adventures. Even if these cameras are designed for classic studio use, we are happy to hear from your wildest large format adventure dreams. Whether it's indoor, outdoor, out of space or beyond belief – we always have an open ear for projects that seem to be impossible. 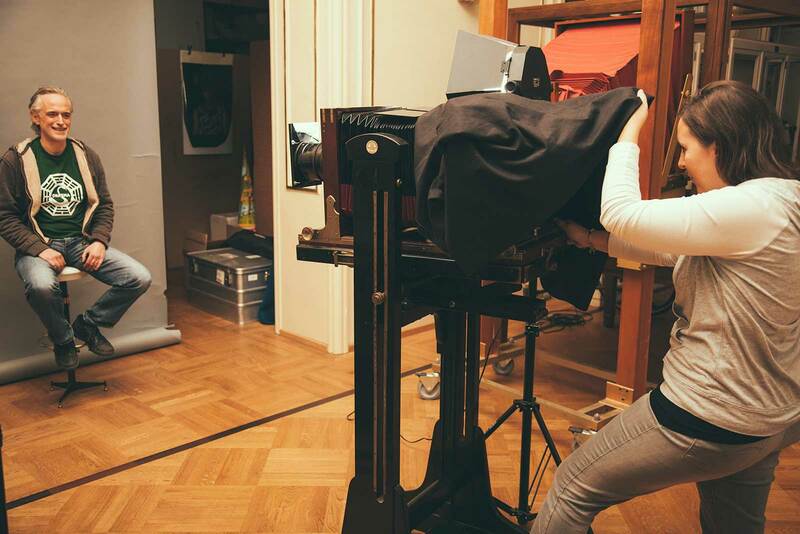 To write new chapters in the history of large format photography together, please contact us. 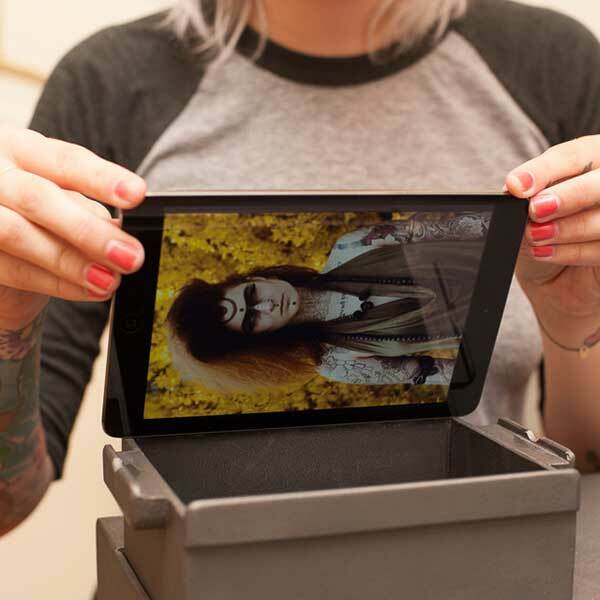 Matching our 2 giant instant cameras, SUPERSENSE offers 2 large format instant films. This film comes from the IMPOSSIBLE factory in Enschede, NL. Back in 2008, we were not only part of rescuing the last Polaroid factory, but also of saving the last 8x10 production machine from Waltham, USA. After shipping this monster to the Netherlands, the incredible team around Andre Bosman re-built it in order to make it compatible for the newly developed IMPOSSIBLE film material. 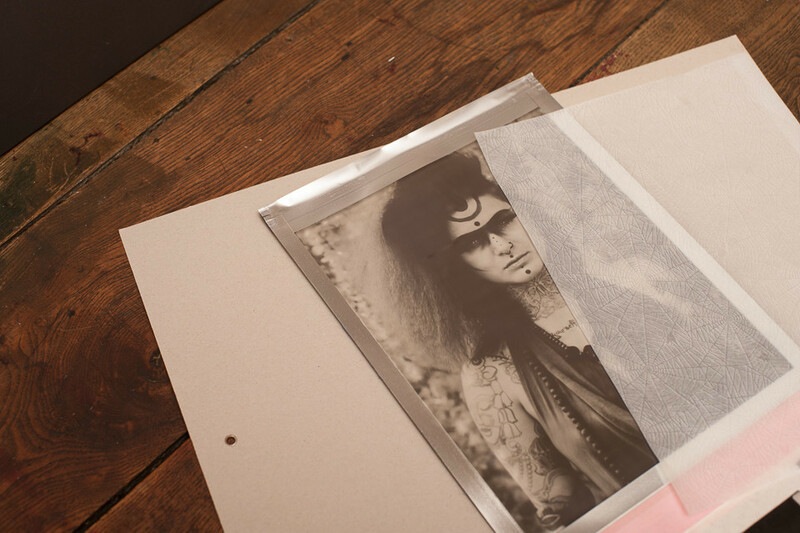 In 2013, we finally introduced the world's first 8x10 integral black & white film. In contrary to the traditional Polaroid 8x10 instant peel apart film, this film consists of 2 layers and images are mirrored. The 2 layers can easily be separated which makes this material an astonishing basis for a whole universe of large-scale creative techniques. 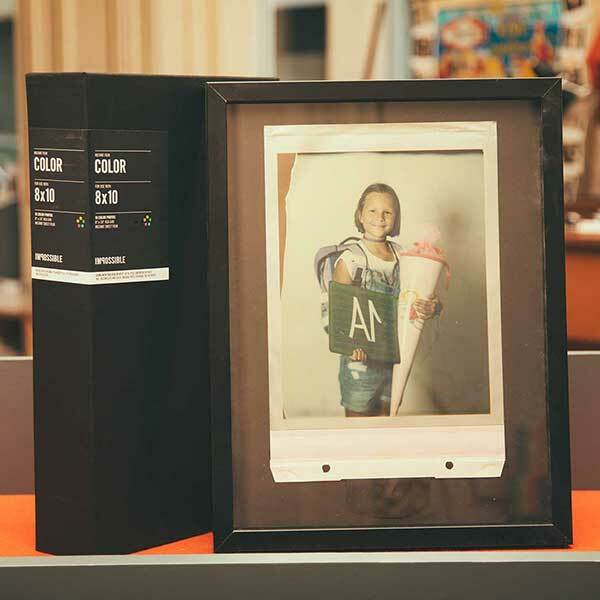 Today, the IMPOSSIBLE 8x10 film is not only available in the brilliant and crisp Generation 2.0 Black & White version, but also in a brand new color version, which was recently introduced globally. Dive into large format photography with this one of a kind 8x10 Black & White film. This Generation 2.0 film works with a unique new chemistry, which produces accurate tones, rich contrasts and a clear and sharp finish. The film also offers improved stability and makes an overall big impression. This brand new color film for 8x10 cameras uses an excellent color film formula. It produces astonishing photos with well balanced colors, natural tones and a sharp definition. Enjoy the high levels of details and achieve results that are not possible with any other type of film. Seek and you shall find. Since years, we are searching the world for the ultimate rolls of original Polaroid 20x24 film. 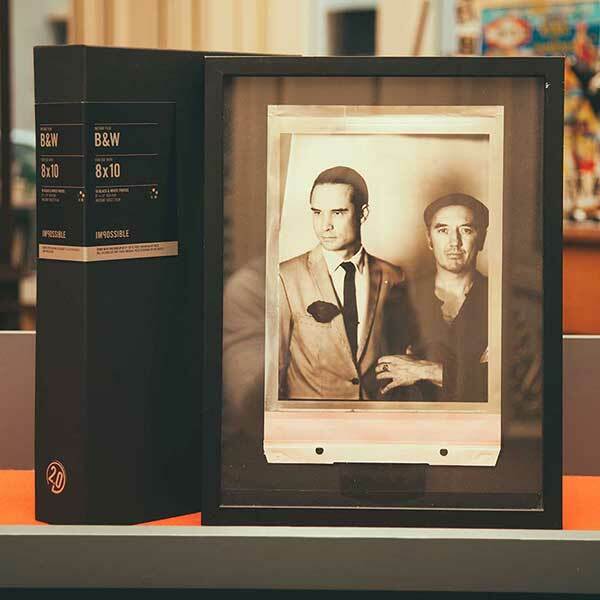 By now, we managed to source and acquire an impressive but strictly limited stock of OUTSTANDING original POLAROID 20x24 film – partly, also thanks to the amazing team around John Reuter's 20x24 Studio in NYC and the never ending support of Grandmaster Jan Hnizdo, guardian and European 20x24 ambassador since decades. These materials from back in the golden Polaroid days make our hearts beat faster. Thoroughly matured and always stored cold, these heavily expired materials feature an incredible performance for stunning, unpredictable and incomparable results. Photographic adventurers and artists – take your very last chance to shoot with those ultimate rolls! Delicacies like the legendary 20x24 CHOCOLATE film from 1995, the super rare 20x24 Black & White material or our cool selection of the most successful color films P3 and P7 are awaiting you. 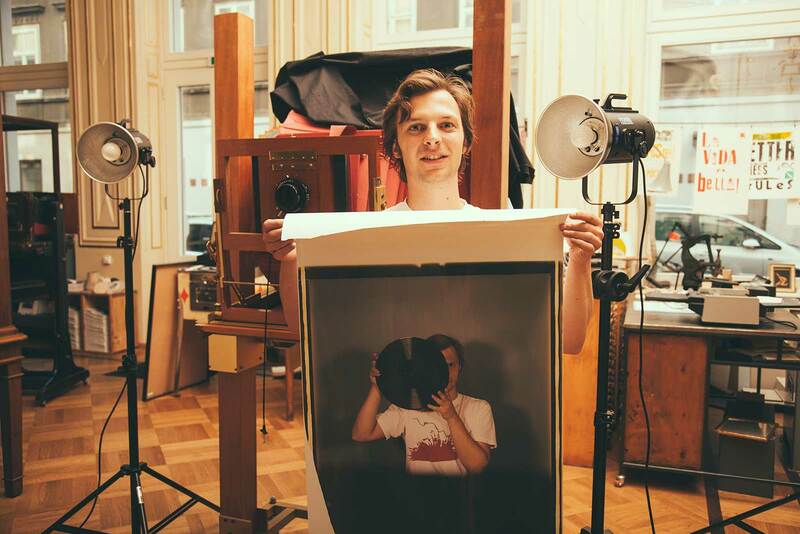 SUPERSENSE celebrates the old Viennese tradition of high-value portrait photography. 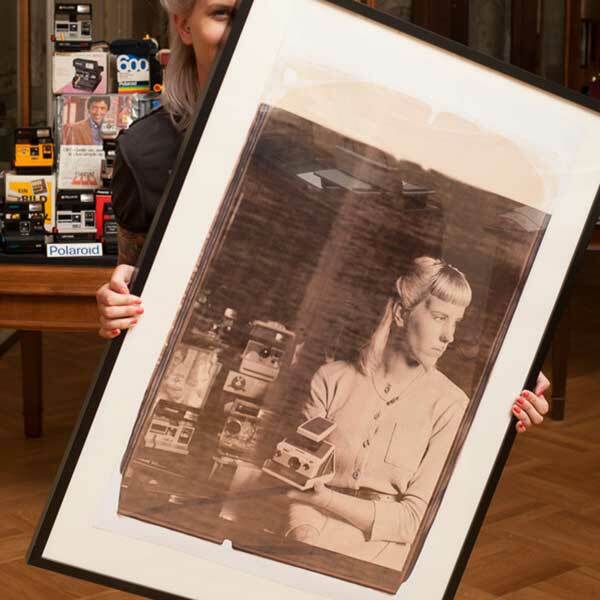 Each and every large format instant portrait is a singular, chemical light-painting. A photographic original that captures and preserves a special moment for eternity and a day. The best day to have your large format instant portrait taken is Friday - please contact us to book your shooting and discuss all details. 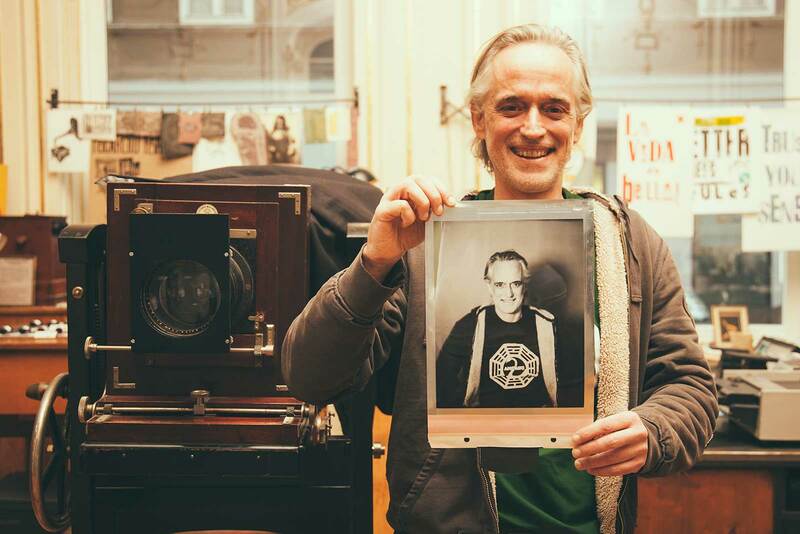 Your portrait shot with the vintage Viennese camera. Please choose between IMPOSSIBLE black & white or color material. Up to 6 people can group for 1 picture (at least, that's the record so far). Please reserve at least 30 minutes for this adventure. 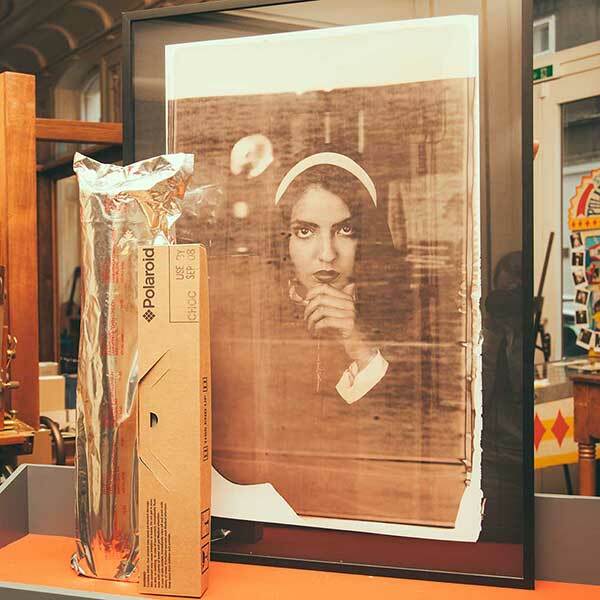 Your portrait shot with the world's biggest Polaroid camera on super rare, matured, original Polaroid film. We currently offer 3 different "flavors": Color, Sepia and Black & White. 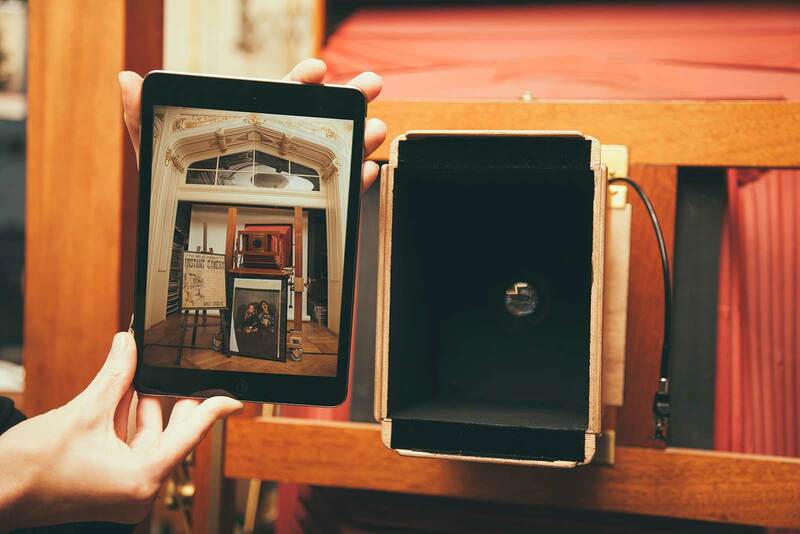 For royal family style portraits, up to 6 people can easily group in front of this camera. Please reserve at least 1 hour for this adventure to allow the image to fully dry. Are you tired of having your favorite photos locked on your digital device? Have you shed a tear or two because you can't come by personally to use our large format instant cameras? Time has come to dry your tears. 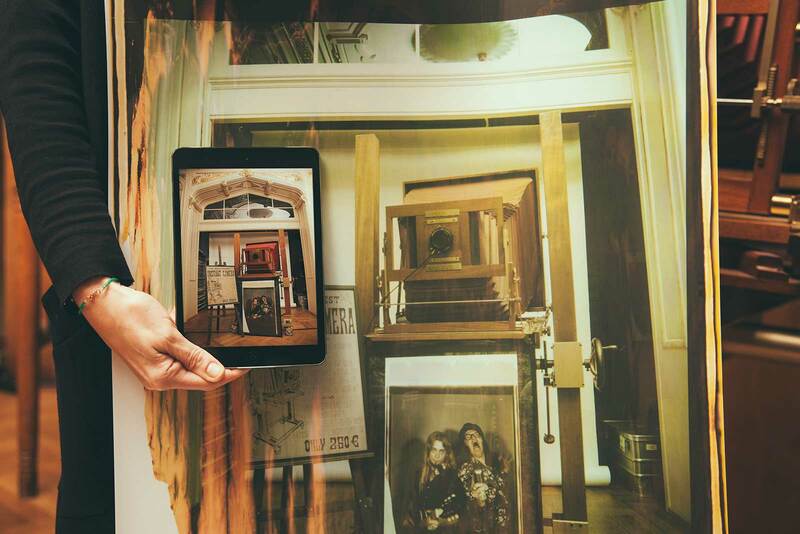 We invented and built some magic tools that allow us to offer a very special SUPERSENSE online EXPOSURE SERVICE: We are the only place on earth that can transform your very best digital images into real high quality 8x10 or even 20x24 instant photographs. Each of them a real, analog original of no other kind. 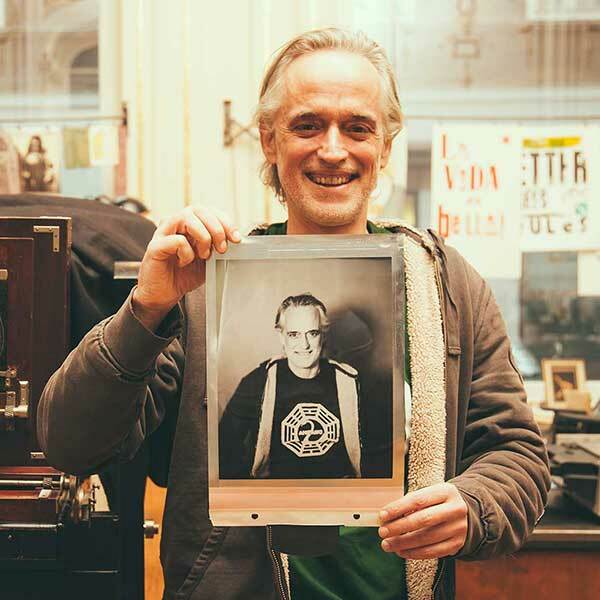 Our friend Henny Waanders, co-inventor of the standard size IMPOSSIBLE Instant Lab, makes this special service possible. First, he hand-built an 8x10 SUPER LAB in his garage. 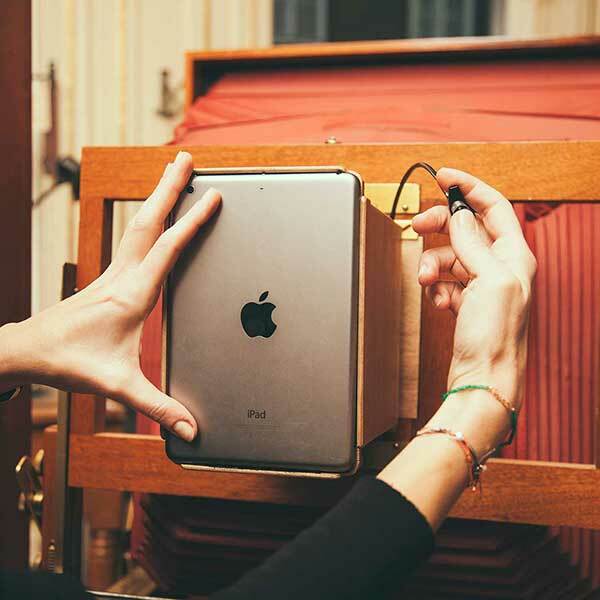 It exposes digital images from the iPad Mini's retina display onto 8x10 B&W instant film from IMPOSSIBLE. Surprised by the wonderful results he even went further and invented a 20x24 SUPER LAB. Now, for the very first time in the history of photography, everybody can expose personal images with the legendary 20x24 camera! Please be advised that this is not a digital print-service, but a UNIQUE analog exposure-service on instant film that creates photographic originals of no other kind. As this process depends on highly complex chemical reactions, the results depend on many factors and are neither 100% predictable nor 100% reproducible. 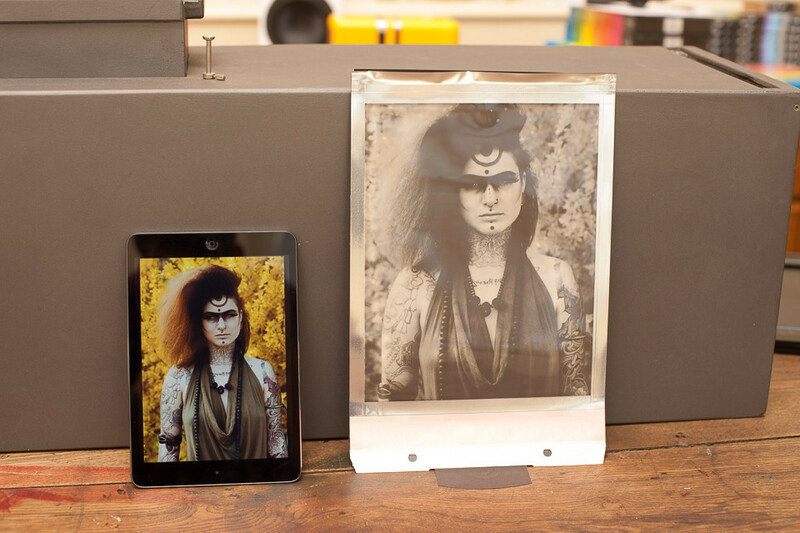 Your digital images on approx DIN A4 sized IMPOSSIBLE black/white Instant Film. Delivered in a handmade SUPERSENSE paper-folder or in a wooden frame. 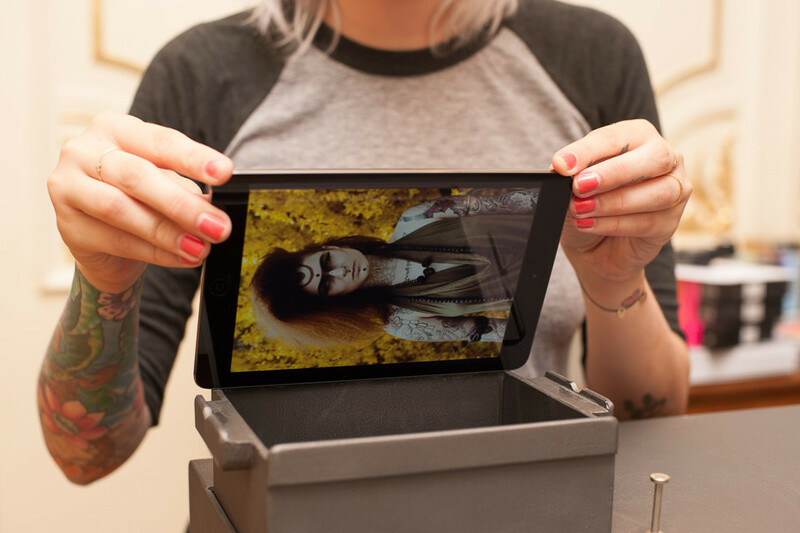 Your digital images exposed onto GIANT instant photographs. Using the ultimate, thoroughly matured original Polaroid 20x24 film. Large format originals of no other kind.